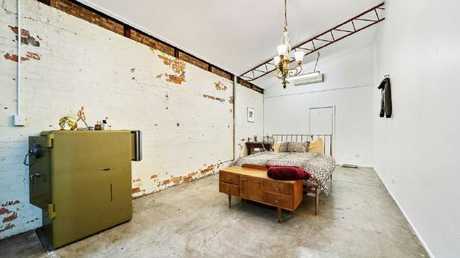 This has got to be a dream property for any hipster. 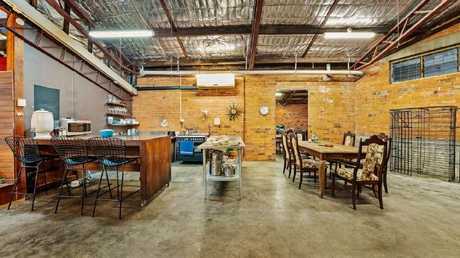 THE coolest home in Brisbane has sold - an industrial warehouse conversion that even has an enormous old safe for storage that will have hipsters salivating. This inner city Brisbane home is the definition of cool, living each day with the sort of chic that will make your local coffee shop barista drooling too. 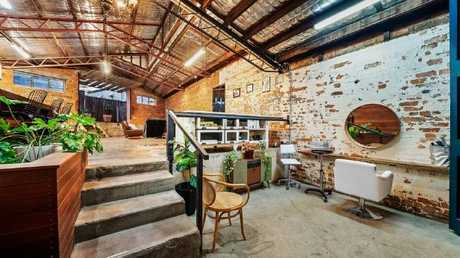 The two bedroom, single bathroom, double car space warehouse is a massive 291 sqm, walking distance into the CBD. 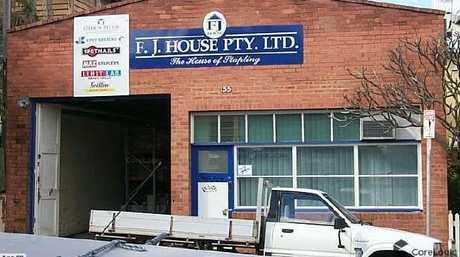 Located at 133 Fortescue St, Spring Hill, it was once the city warehouse of stapling equipment firm FJ House, with the last House family member to own it selling for just over $502K in 2002. Last weekend it was sold for $1.23m by agents Sam Mayes and Zac Tully of Ray White - Spring Hill within a month of it being listed. Mr Tully told The Courier-Mail that those inspecting the property were "the largest mix of buyers I have ever dealt with". "A large amount of them were purely wanting to turn it into a fully renovated warehouse though," he said. A “safe” place to store your precious threads. 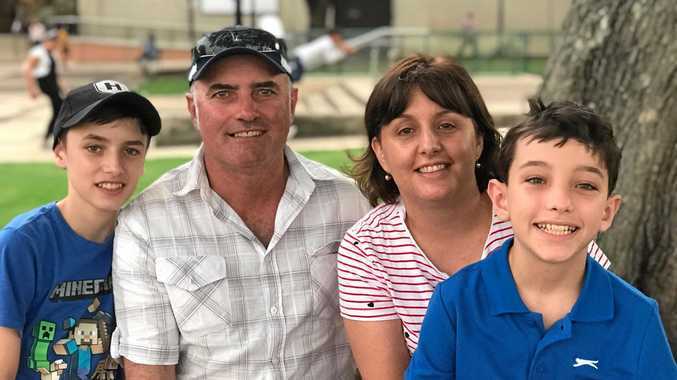 "A lot of local Spring Hill house and business owners had interest, and then we had a mixture of buyers from all over Brisbane that purely had interest in the warehouse style and a handful of people flew up from Sydney and Melbourne to view the home. The kitchen and dining room minus any internal walls. 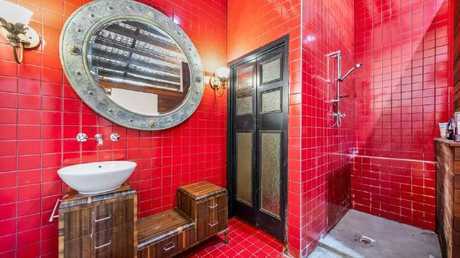 The property has a red bathroom, exposed ceilings, steel beams, concrete floors and a very open plan. It even has an enormous safe that's converted into storage in one of the bedrooms, and a step-up courtyard "where you can sip your Barista-made coffee while soaking up the sunshine"." Look at all that space! It's zoned low to medium density residential which opens up options for adding a floor or loft potentially. The property is a dream investment with "extremely rare two street frontage", and because it's built in 1950, it's not expected to have all the council planning issues in future that pre-war ones do. A dramatic space befitting light touches everywhere. "Of course subject to council approvals," Mr Tully said, adding that the two street access was a major factor for buyers. "Very rarely do homes become available in Spring Hill with two street access." Possibly one of the most striking bathrooms most people have seen. The buyer who has not been named was a Brisbane local. 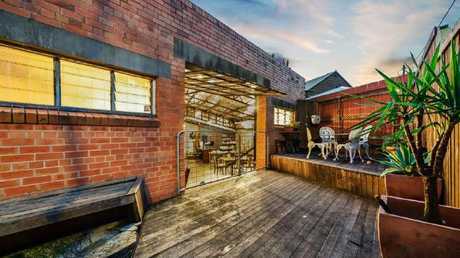 The property was listed as rare with no other inner-city living space as cool as it was. 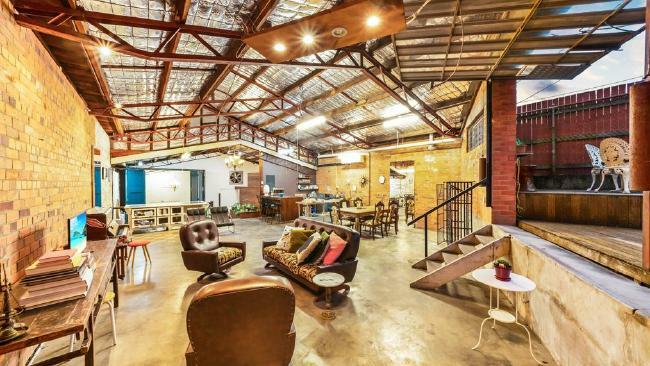 "You can search all of Brisbane but you won't find anything like this industrial-style warehouse conversion that perfectly captures the trendy street-style of Melbourne."